MILLARE Fashion: Zen Magazine Editorial For August 2014 Issue is Gorgeously Fruitilicious! 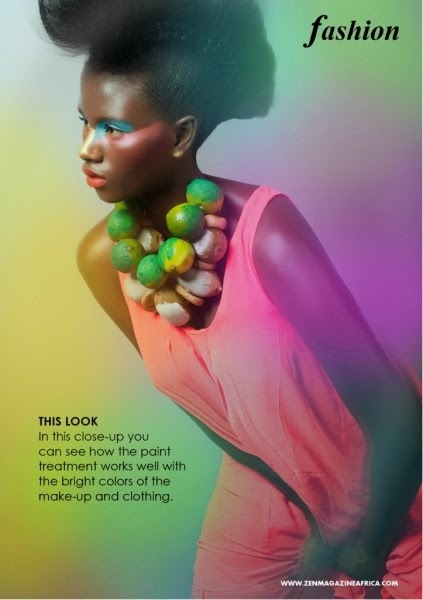 Zen Magazine Editorial For August 2014 Issue is Gorgeously Fruitilicious! 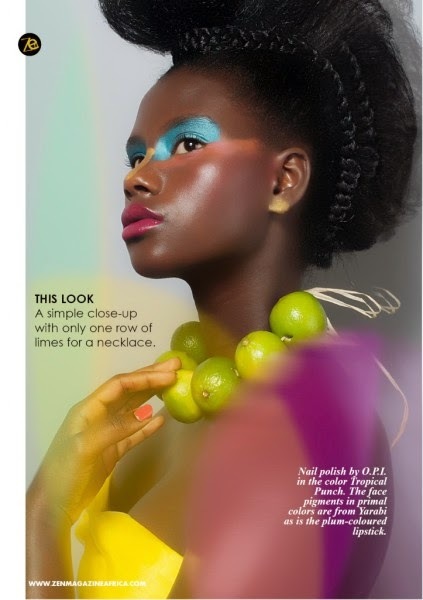 The August issue for fashion magazine Zen 2014, bring you a fruity editorial titled “Fruity Glam“. 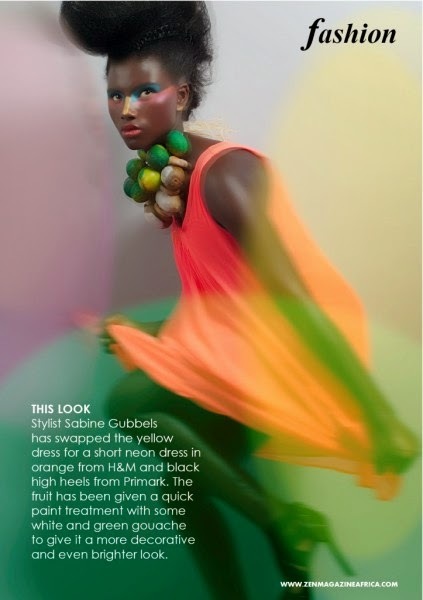 Photographed by Yvonne van Dalen and modeled by Bintou Sisi, the editorial shows the model strutting her stuff in neon dresses accessorized with necklaces made out of lime, lemon, kiwi and dry fig leave.